It takes an all-time-great voting panel to rank the greatest NFL quarterbacks of the modern era. We have assembled one of those, which might be the last time everyone reading this treatise nods in solidarity. Pete Carroll, Tony Dungy, Mike Holmgren, Howard Mudd, Wade Phillips, Mike Reinfeldt, Ray Rhodes, Mike Shanahan, Al Saunders and Norv Turner possess a combined 330 seasons of NFL experience. All 10 are Super Bowl champions, having combined for 20 rings in 30 opportunities. The 10 bejeweled members of this exalted NFL tribunal agreed to rank their top 10 quarterbacks since 1978 -- more on the time frame in a moment -- while discussing the various quarterbacks on the record. Panelists received an information packet with stats and career accolades for quarterbacks who were Hall of Famers, likely future Hall of Famers or highly ranked in major statistical categories since 1978, when the NFL ushered in a new era by changing blocking and coverage rules to open up the passing game. Panelists were instructed to use their own criteria. This exercise was more like completing a deep out into the teeth of the blitz than checking it down to the halfback underneath a soft zone. "I went 'round and 'round and 'round," Turner said. "I probably had 20 lists, and then you feel like, when you're done, you're leaving someone out to get it to 10." Hall of Famers Terry Bradshaw and Ken Stabler were notable players excluded from the survey because some of their most significant seasons fell before the 1978 cutoff. Hall of Famer Dan Fouts also played extensively before 1978. He was included in the survey because his career took off beginning in 1978, when Don Coryell took over as the San Diego Chargers' head coach. Final rankings were determined by how frequently each quarterback outranked the others who received votes across all 10 ballots -- call it the GOAT Index. For example, Tom Brady was ranked above the other QBs 87 percent of the time. Peyton Manning (80 percent) and Joe Montana (78) were next, followed by John Elway (67 percent), Aaron Rodgers (56) and so on. But enough on the math. Let's get to the best QBs of the past four decades! Note: Italics denote my commentary below. I didn't vote in the survey. Read through the full file, or jump to your favorite QB using the quick links below. Brady was first or second on nine ballots, making him a pretty overwhelming choice for the top spot. Dungy threw an interesting curveball. He approached the project as if he were a defensive coordinator drawing up a game plan. Dungy saw skilled passers across the board when looking at the best QBs. He reasoned that those who also were dangerous runners were the toughest quarterbacks to stop, which is why his top three comprised John Elway, Steve Young and Aaron Rodgers. Brady might own the best career credentials, but those other guys presented additional challenges. Not that anyone was going to argue against Brady. Wade Phillips, three-time NFL head coach who entered the league in 1976 and coached both Elway and Jim Kelly: Tom Brady is easy for me. He is such a winner. They haven't always had great defenses, and they have still won an unbelievable amount of games and the championships and so forth. I just think he's the hardest to defend against. It doesn't matter who their receivers are. Bradshaw was a little that way. Tom Brady is just the best our teams have ever played against. 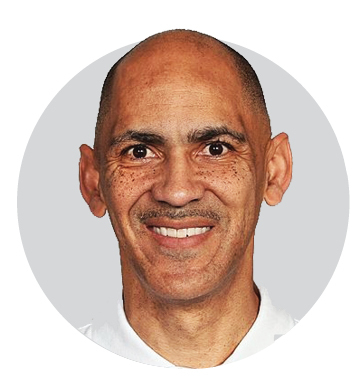 Tony Dungy, Hall of Fame coach who debuted in the NFL as a player in 1977: It can be tough to separate the great quarterback from the great coach. We have seen this in every era: Otto Graham and Paul Brown, Bart Starr and Vince Lombardi, Johnny Unitas and Don Shula/Weeb Ewbank, Terry Bradshaw and Chuck Noll, Joe Montana/Steve Young and Bill Walsh. I don't think Bill Belichick would be Bill Belichick without Tom Brady, and Brady would not have the same success without Belichick and the way they have put that team together. But the one common thread through 15 years was Brady. When they had him, they won big -- won championships. The quarterback has so much to do with it. Al Saunders, NFL coach since 1983 and former Chargers head coach who worked with Fouts, Montana and Kurt Warner: There were some things I thought were important in comparing these guys. The first was the driven success they had with their teams. Some of that was skewed by the quality of talent that they were surrounded with. The second variable was their individual production. The third element was their individual efficiency. All of these things are tied in to the personnel they are with, the coaching that they had, the change in coaching that they had, the different systems they had to play in. And then the fourth thing was performance in the critical part of the game, which to me was fourth-quarter comebacks or game-winning drives. Regardless of how I did it, it always came up Tom Brady, Peyton Manning and Joe Montana at the top. Mike Holmgren, Super Bowl-winning head coach who coached Montana, Young and Brett Favre: All these guys are very professional and work hard and are disciplined. Brady has taken those things to a new level. Howard Mudd, NFL offensive line coach from 1974 to 2012 and all-decade offensive lineman from the 1960s: The reason why I have Tom Brady second [behind only John Elway] is because he has made his greatness with all kinds of combinations of players: two tight ends, three wide receivers, four wide receivers. Different receivers, different people -- different, different, different. Defensively, New England might wind up with one Hall of Famer, or maybe not even any. I mean, they got rid of Richard Seymour and went to the Super Bowl. Norv Turner, three-time NFL head coach and longtime coordinator who coached Troy Aikman: Brady's record speaks for itself. He just finds a way to get it done over and over and over again. I don't think there is any situation that he has not mastered. He is a great decision-maker. I mean, you don't want to get into a two-minute drill against Brady. He is also remarkable because he has gotten hit a lot and lasted. Ray Rhodes, five-time Super Bowl champ and NFL Coach of the Year who made his playing debut in 1974: Football has changed over the years, but Brady has been consistently able to get his team to the playoffs, Super Bowls and win. I have never heard him squabbling about his money. He is the consummate team player. He is going to buy into whatever it takes for them to win: throw it, run it, doesn't matter. That is what I like about Tom Brady. It is all about the team. Al Saunders: The thing that I asked myself is, "Who do I fear the most? Who did you not want to have the ball in their hands at the end of the game, regardless of the personnel that they played with?" I think of Brady that way. Mike Reinfeldt, 1979 AFC Defensive Player of the Year and longtime executive with four franchises: If some guys are game managers, Brady is a field marshal. He's in control of all aspects of the game, able to change his game to meet a specific plan. He's been blessed to play his whole career for one of the best all-around coaches ever. Brady and Belichick seem to be in total sync. Brady has taken the game to a new level with training, nutrition and overall fitness. That is partly why he has been able to play at his prime level for such a long period of time. Mike Shanahan, two-time Super Bowl-winning head coach who coached Montana, Young and Elway: Five Super Bowl wins, especially the way he has won them. What more can you say about the guy? I don't know him very well personally, but I love the way he handles himself. Just a true pro. Manning appeared among the top three on six of 10 ballots. Montana ranked that high eight times, but he was also lower than Manning on a couple of ballots amid some thought that he would not have translated as well to other offensive systems. Voters did not automatically rank the players they worked with at the top, which illustrated how seriously they took the project. The one No. 1 vote Manning received came from a panelist with no ties to him. Dungy and Mudd spent wildly successful years with Manning and sang his praises at length, but both had Elway ranked higher. Tony Dungy: I never had to defend Peyton, and if I did, I might have a different opinion as it pertains to this ranking. Rodney Harrison told me defending Peyton was so different from everyone else he ever had to play against. That is a little bit of a disclaimer. I put Manning and Marino at the top of the nonscramblers because they didn't have the benefit of dominant defenses. Howard Mudd: The defenses are so much more complex in the current era. You have to be smarter now than you ever have been. I went through it with Peyton. No one did it better. He spent his rookie year, every two-hour meeting we had during the day if we had a night practice, we went in the gymnasium at Anderson College and we worked on blitzes until he understood who was not blocked. Norv Turner: If you're going to create a quarterback in a lab, this is your guy. He was in complete control of what they did. The numbers are incredible. If Peyton Manning had New England's defenses, he would be at the top of this list and he would be 5-2 or 6-1 in Super Bowls. People were critical of Peyton for the playoff losses -- the interception against New Orleans or whatever -- but his teams were not good enough on defense. Mike Shanahan: Peyton started a new wave of football -- coach on the field, being able to call plays at the line of scrimmage. And then you take a look at his stats throughout his career: very impressive, especially with teams that were usually pretty average on defense. Mike Reinfeldt: Coming from a quarterback family, Peyton fully understands the position and all that goes into it. He was totally consumed with the game plans. Tony Dungy: I don't think Peyton gets enough credit for his physical toughness -- play after play, year after year. People also would talk about Peyton having all these weapons, but he was responsible for a lot of that, especially when the team was so good and not picking high in the draft. Wade Phillips: Peyton learned the right way. When he first came into the league, he threw a lot of interceptions, but he didn't get sacked. He learned to get rid of the football. Then as he went along, he learned not to throw the interceptions. That is what made him great. And then through his preparation, he turned it into an audible game. You started saying, "OK, we have to wait 'til the last 10 seconds to show what we're going to do." I think Brady is great at just reacting off it. Peyton was great at reading it and changing the play, that kind of thing. Ray Rhodes: I am just telling you, he is a computer. I don't care what you throw at him. You might get him the first time, but he is going to figure it out. He is going to get that computer brain working. He picks it up and is ready to go. He was one of the smartest quarterbacks I ever coached against. Mike Holmgren: As dominant as they were in the regular season, I think the playoffs dropped him just a peg in relation to guys like Brady and Montana. That is all. He certainly deserves to be near the top. His career is remarkable. We considered two mathematical approaches to tabulating the results, and Montana would have edged out Manning narrowly had we used the other one, which gave added weight to the highest rankings. Manning had a slightly better average ranking. Their median rankings were the same. You pick one QB, and I'll take the other. Montana would have nailed down the second spot if a couple voters hadn't questioned how well he would have projected into other systems. The other QBs clustered near the top were more imposing physically. Most panelists did not let that influence their thinking. 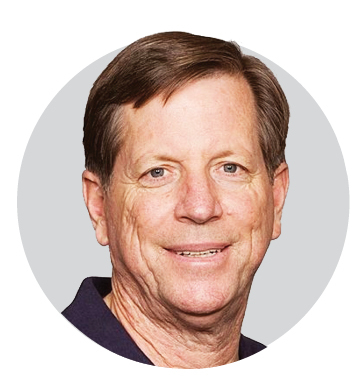 We start with Norv Turner, who was with the Los Angeles Rams in the 1980s and, therefore, faced Montana's 49ers twice a year in the NFC West. Norv Turner: Montana was No. 1 on my list. He was one of the top two or three most accurate guys, a great decision-maker and then obviously he played at his best in the most critical situations. Now, people didn't know how to defend the system, and you see some of the tape, they are running completely free. Joe benefited from that, but I think there is something about being a forerunner, a leader. That wasn't in vogue to lead with the pass and then become a running team when you got ahead. The Chargers also did it, and that is why I ranked Dan Fouts high. Mike Holmgren was the 49ers' quarterbacks coach and later their offensive coordinator during some of Montana's finest seasons. Mike Shanahan was the 49ers' offensive coordinator just as Montana was about to leave for Kansas City. Ray Rhodes was a defensive player and then a defensive coach with San Francisco for the majority of Montana's career there. We'll start with Holmgren, who said he was relieved upon taking the job to learn that Montana, though already a Super Bowl champion and league MVP, wanted to be coached hard. Mike Holmgren: One, he was maybe the most accurate passer I have ever seen. Two, he played his absolute best on the biggest stages. That is why he was No. 1 for me. Mike Shanahan: Having had a chance to be with him for a year, I saw just how perfect he was in everything he did. If he did not throw the ball on the correct jersey number, he was pissed. He would put all the blame on himself. That is one reason why he was so liked. Ray Rhodes: I was there in San Francisco when Joe became the starter. The quarterback in front of him [Steve DeBerg] was doing all these hard counts, and Bill Walsh wanted it to stop because it was pulling our own guys offside. Bill gets frustrated and puts in Montana, and Joe executed it the way he wanted it executed. The next year, Montana took over the team, and he was like a surgeon. We would go on the practice field and in 7-on-7, the ball would never hit the ground. He could put the team on his back, and he was so clutch. He took us right down the field in the Super Bowl [against Cincinnati] with a minute or two left in the game. It was unbelievable. Al Saunders: We were a real strong defensive team when Joe came to Kansas City. Joe infused an efficiency and a professionalism on offense that was just unmatched. The first year, he takes us to the AFC Championship Game playing against Jim Kelly in Buffalo, and Joe got knocked out of the game. When the 49ers came to Kansas City and Steve Young was the quarterback, Joe brought us back and we beat them. Then we played John Elway up in Denver on a Monday night in one of the greatest games ever played. Elway took Denver down the field and they scored with a minute and some seconds left to go. We had no timeouts. Joe took our team down 80 yards to win it in the last couple seconds, with a pass in the corner of the end zone to Willie Davis. His demeanor and his confidence and his personality and his command of the game was so endearing to the entire football team. Mike Reinfeldt: Playing against Montana, you had the feeling he was almost like a Jedi master, like he had a sense about him that no one else ever had, allowing him to know where everything on the field was going to be and where the ball needed to go. Also, no game was too big for him. The more important the play, the better he was. 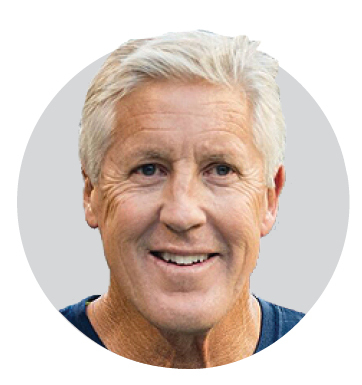 Pete Carroll, Super Bowl-winning head coach who entered the NFL in 1983: Joe would not necessarily play as well in other guys' systems, like an Ernie Zampese system. I think it was Joe in that Bill Walsh system that made him, but Montana is still No. 1 for me because I think he was the best player. He won games in more ways than the other guys at the very top because he could move. Wade Phillips: It was a little different era. Montana perfected the West Coast offense with the short passing game. Bill Walsh had run it when he was in Cincinnati with Ken Anderson and some other guys, but Montana took it to another level. His reads were so quick. Norv Turner: There were more teams back then that could beat you up. Montana played the Giants in a playoff game, and he got knocked out of the game. The league wasn't watered down when Montana was playing. There were better defenses, in my opinion. There were a lot more great pass-rushers than there are now. I don't want to be the old-sounding guy because I coached through all of it. You played New Orleans twice [in the NFC West of that era] and it was Rickey Jackson and Pat Swilling. You played Chicago and it was Richard Dent and Dan Hampton. You played the Giants and it was Lawrence Taylor with Carl Banks, who was not a great pass-rusher but could do it, and they were a great defense. You played Buffalo and it was Bruce Smith. My point is, there were more teams like the Giants team that beat New England twice in the Super Bowl. Elway's arm, scrambling ability, toughness and late-game-comeback ability made him the most feared/respected quarterback of the bunch to some panelists. Elway led comeback victories over Montana's 49ers in the 1985 and 1988 regular seasons. Defensive coaches such as Ray Rhodes, who was with the 49ers at the time, know too well the dread that could set in when Elway got the ball in his hands late. Ray Rhodes: Elway has been the all-time most-respected quarterback as far as I'm concerned. He was a hard-nosed, tough guy who competed and was a winner. He had one of the strongest arms that I had seen during that era. One of the plays they used to run, he would sprint to one side of the field with the ball and then come back and throw it all the way deep down the other side, and I had never seen a guy with that type of arm strength. He was amazing, man. Mike Holmgren: He was probably as good as anybody I've ever seen out of the pocket. If you are defending him, you want him to stay in the pocket and throw. He could still do that very, very well, but he was remarkable at making things happen outside the pocket. Tony Dungy: I coached against all of these players except Peyton Manning, so I based a lot of my ranking on who was the toughest to defend. For that reason, I put the three very mobile QBs at the top. Elway, Steve Young and Aaron Rodgers had that extra dimension of being able to create plays even when the defense covered the receivers. You were limited in what coverages you could play against them because of the threat of them running. I got asked a lot when they were both playing, Marino vs. Elway? It is hard to pick, but John just made plays when everything else was covered. He bought time and moved around, and you could do everything perfectly and you still didn't succeed. 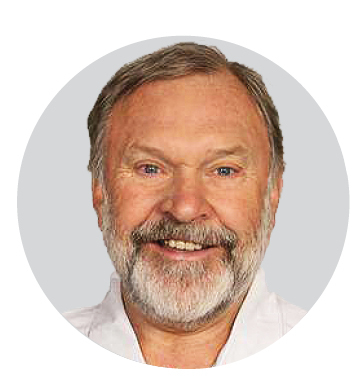 Howard Mudd: If I get a choice of all the quarterbacks since '78, I would pick John Elway. He did a lot with less. I was coaching [for Cleveland] in the game, 'The Drive.' Did he have a great team around him? No. It was a good football team. They went to the Super Bowl. He went to five Super Bowls under different head coaches, different circumstances, different levels of defenses, all that. Al Saunders: I was a young coach in San Diego, about 34 years old. Don Coryell calls Ernie Zampese and I into the office and says he wants to fly us up to San Jose to have dinner with Jack Elway, John's dad. Jack was coaching at San Jose State at the time, and John was playing at Stanford. Don says, "We are going to make a trade, and we are going to select John as our quarterback." So, Ernie and I flew up there. We had dinner two nights before the draft with Jack Elway at Original Joe's restaurant in San Jose. Boy, we're drinking wine, we're eating spaghetti, we're just having a great time. Ernie and I are so excited. We get on the plane, and we see Don when we get back. "Coach, everything is great, Jack is real excited, this thing is going to work." The next day, Baltimore works out that deal with Denver and we didn't get him. Norv Turner: Everything about him -- the talent -- was so impressive if you saw him play in person, if you coached against him. I coached against him in Stanford, while at USC. He threw a ball over 70 yards for a touchdown on a scramble. I mean, just unbelievable talent. Unbelievably hard to defend. When Elway was playing at his prime and his best, people didn't give a darn about quarterback rating. They were trying to win. A lot of guys have started throwing a bunch of touchdown passes down inside the 3. The rating went up. You can't begrudge it. But I think it helps explain the numbers a little. It's true that teams are passing more frequently overall, including from near the goal line. Research from Chase Stuart of Football Perspective shows Elway threw 39 touchdown passes from the 3-yard line and closer, which was 13 percent of his total. Manning had 90 (17 percent), Brees has 84 (18 percent), Brady has 81 (18 percent) and Rodgers has 54 (18 percent). Montana had 37 (14 percent), Philip Rivers has 38 (12 percent) and Fouts had 21 since 1978 (8.3 percent). It's also true that Elway's stats improved significantly later in his career, probably because his supporting cast improved. The Big Lead's Jason Lisk presented research to that effect in 2010 as well. But when NFL folks recall Elway, they focus on the talent and the comebacks. 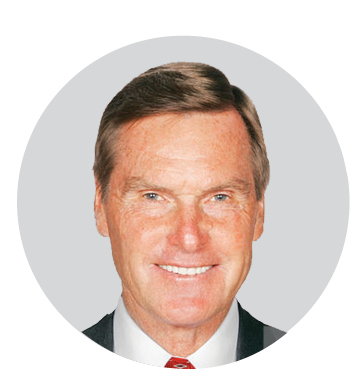 Mike Shanahan: John was the most serious competitor I have ever been around. No matter what he is doing, he is going to find a way to win. That is in every phase, not just sports. There are very, very few people like him. Six of the 10 voters listed Rodgers over Favre on their ballots. Four had Favre higher, but Rodgers is still ascending as his career continues. Favre's record iron-man streak and success with multiple teams/coaches helped his cause. Rodgers' ability to match Favre in the playmaking department while limiting turnovers has him on the higher trajectory despite a shorter career run so far. Mike Holmgren, Ray Rhodes and Mike Reinfeldt were all with Favre in Green Bay at various points. That did not dim their appreciation for Rodgers, however. Mike Holmgren: If you are a quarterback aficionado, you just look at him and say, "This guy can do anything he wants to." He passes the ball, he runs, he has the whole package. I will say this forever. The playoff game against Atlanta a few years ago, that was maybe the best quarterback performance I have seen by anybody ever. He dropped back, he ran, he threw on the run, he threw accurately, he got first downs. I also think he has shown tremendous toughness because he gets banged around a lot. Some guys have better receivers or better whatever, but Rodgers gives you a chance to win and go to the Super Bowl every year. Ray Rhodes: Rodgers is very, very accurate. The guy has a good arm; he is a good athlete, can move around. The thing about Rodgers, he has had a lot of different weapons. Smaller receivers have played for him. No running backs. He has not had the defensive support that some of the others have had. Mike Reinfeldt: Rodgers has everything you look for in a quarterback. Athletically, he is special. He's done really well under the same coach for an extended period, although not to the same level as Brady and Belichick. Aaron still has a number of prime years remaining. His final spot on this list probably hinges on how he and the Packers perform in future postseasons. Al Saunders: Aaron Rodgers is so efficient in his play, and I think Drew Brees is also that way. Both have been the beneficiary of being in a system for such a long period of time that their efficiency is just off the charts. His passer rating is the highest in league history. Norv Turner: Rodgers is so talented physically, along the lines of why some people put Elway so high. Pretty amazing talent level in all areas. My nephew coached him in junior college, and he was still a developing guy. He was not what he was until probably his senior year in college. He really grew a lot late and has become a really impressive, explosive athlete. Some compare Rodgers to Steve Young in that both are dual-threat quarterbacks who somewhat uncomfortably succeeded future Hall of Famers for iconic franchises before leading their teams to a Super Bowl victory. 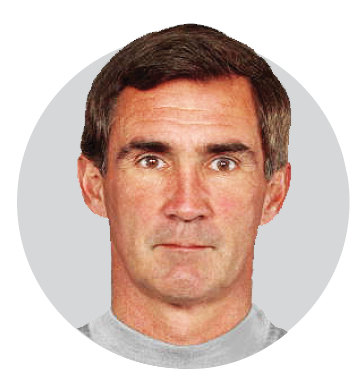 Mike Shanahan, who served as Young's offensive coordinator 1992-94, drew comparisons between Rodgers and Marino in terms of throwing ability. Is there a higher compliment? Mike Shanahan: When you take a look at Rodgers' release and his quickness and his ability to throw off-balance and hit the open guy, bodies just don't work that way. It's fun to watch. The first two panelists polled did not have Marino in their top 10s. One considered him to be a stat machine whose penchant for passing worked against the team concept. The other eight panelists had Marino between third and eighth, and they marveled at his ability to do the one thing every great quarterback must do: throw the ball exceptionally well when the defense knows a pass is coming. Has there ever been anyone better at that? 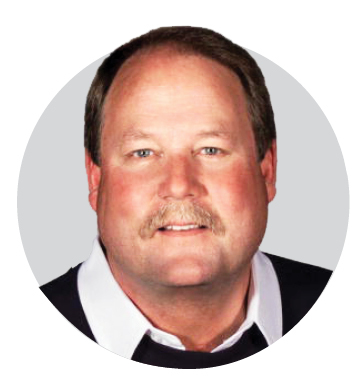 Mike Holmgren: His delivery and ability to pass the ball might be the best ever. Everyone knew he wasn't going to run, so defenses could defend him a certain way. It didn't matter. He was just a remarkable passer and fun for me to watch. Ray Rhodes: Dan had a quick release, and he was accurate. He also had two 5-foot-9 receivers in [Mark] Duper and [Mark] Clayton. He moved that team up and down the field. I'll never forget sitting in meetings with Bill Walsh and Bill saying, "Man, I wish I had a guy with an arm like that." And we had Montana! But Bill was always, "Man, he's got the quickest release, he is accurate; look at the way he throws that ball! It's unbelievable!" Norv Turner: We played him in 1986 in Anaheim and [Jim] Everett went crazy against them and it was 31-all as the game ended. They won the toss in overtime, and I think he completed seven straight and went right down the field and scored, and it was as good a drive as you could see. It's the same thing I said about Joe [Montana] and Fouts. He is at the forefront of all this today. A lot of people were afraid to play that way, and they weren't. They won a lot of games with him there. They just were never good enough on defense, and they had to beat Buffalo. 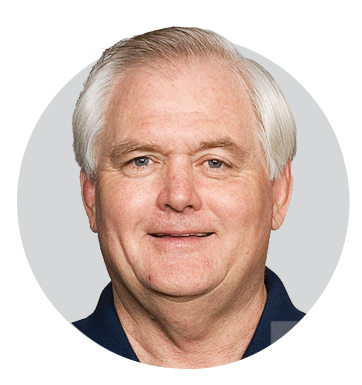 Wade Phillips: He gave you nightmares. I remember we were at Buffalo, and we played him in a [December 1995] playoff game and we got ahead of him [27-0 entering the fourth quarter], and that is what you really didn't want to do. He threw it 64 times in the game! You talk about wringing your hands and so forth [Buffalo won 37-22]. He keeps throwing it and keeps throwing it. He was so gifted. He was really accurate. He could throw it long, he could throw it short, he could just throw it. Maybe the most gifted quarterback we ever played against. Tony Dungy: Marino was exceptionally hard to defend because of his anticipation and quick release. That is why I had him right behind Peyton as the best of the guys who were not scramblers. When he was hot, he was almost unstoppable. He brought that swagger and could make every throw. You could blitz and, no matter how much pressure you got, he still got the balls off. He didn't ever play with a dominant run game or great defense. If you had put him in some of those other systems -- say, Dallas -- would they have won as much as the Cowboys did? I think so. Mike Shanahan: Marino is a lot like Rodgers when you take a look at the release and the stats throughout his career. You just love the guy. The only reason he is not in that very top group is because of the Super Bowl, but Super Bowls are a team thing, too -- not just one guy. Ray Rhodes: When he went to the Super Bowl as a young player, they kept saying he will get back and play in plenty more. Bottom line, you get your opportunity, you gotta win. You might never get a chance again. That is what happened to Marino. Al Saunders: You give the ball to a Marino, an Elway, they are going to find a way to win it. It's not the receiver, the running back or the tight end. It's those guys. I mean, Dan Marino had 36 fourth-quarter comebacks. Only Manning  and Brady  have more. Peyton is the only quarterback in the history of the National Football League with more game-winning drives than Marino [Manning had 56, five more than Marino had]. Some people would say it is about Super Bowl wins. People also say, the quarterback is the guy who wins the game. In that case, Marino won 51 of them when they didn't have a chance to win. That is pretty darn good. Who do you fear having the ball at the end of the game? Favre's flair for the improvisational made him especially compelling to watch and difficult to defend. He'd rank higher on this list if he had protected the football better, but as Rhodes noted, one of Holmgren's greatest coaching legacies was getting Favre to stick to the script as often as he did. As for Favre? All he did was win three consecutive MVP awards from 1995 to '97. Ray Rhodes: There was not a guy tougher than Brett Favre. As far as making the right decisions and doing the things he was supposed to do all the time, Favre was as wild as they come -- just a wild gunslinger. Really, you could have a six-inch window and he would think he could throw it between there. Molding Brett was one of Mike Holmgren's best accomplishments. Mike Holmgren: Brett is the contrast quarterback to Manning and Brady for how he played the game. You could make a case that, while he played within an offensive system, he ad-libbed a lot. It helped him a great majority of the time and hurt him some. Those other guys were more robotic. All these guys are tough, but Brett's record of playing in all those games cannot be overlooked. Mike Reinfeldt: Brett had a rocket for an arm. Many times, he would start off games with a few balls that sailed five feet over his receivers' heads. He didn't care much for game plans and all the meetings, but he loved to play the game. He was all-in on every play and was willing to take the risks -- not just with his throws but with his body -- to make the big plays. Howard Mudd: Favre was a great leader. He willed his team to play well -- not at the level with, in my opinion, Elway -- but at a really high level nonetheless. Norv Turner: The guy was incredible. He is a great talent and as exciting a player as there is to watch. Now, when you talk about these other guys with unbelievable skill at managing the game and being on top of all things, I do think Favre belongs about where he is, just because of that riverboat nature. He will do some things that will make you shake your head, and if you're not on as good a team as he was on, that can be a tougher thing to get away with. Tony Dungy: Brett Favre was always tough on us, but he was more of a risk taker than Montana or Brady, and that allowed you to make some plays against him. Al Saunders: If Favre has the ball, as an opposing coach, I'm concerned. I'm not as worried about the people he has in supporting places. I'm worried about him. Mike Shanahan: The first time we had him in the Pro Bowl, I saw him throw the ball over 80 yards, and that was his first pass when he was out on the field. I said, "Well, we don't have to worry about arm strength." What a fun guy to be around, and what a career he had. Young's ranks for fourth-quarter comebacks and game-winning drives lag compared with some of his peers. Of course, he and the 49ers played so efficiently -- Young ranked first in yards per attempt, adjusted net yards per attempt and passer rating over the course of his career -- that they coasted to the finish line a fair amount of the time. No one with the possible exception of Bill Walsh and Mike Holmgren could have seen it coming, either. 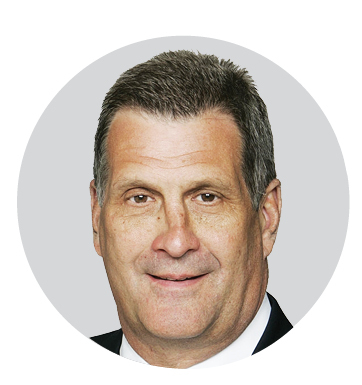 The 49ers acquired him from Tampa Bay for second- and fourth-round picks after the Buccaneers drafted Vinny Testaverde first overall in 1987. Ray Rhodes: When Steve first came to San Francisco, I honestly didn't think he was going to be a player. Early on, as soon as he dropped back, he was ready to run. No throwing, no passing. We had a three- and five-step system, and it used to drive Bill [Walsh] up a wall. Finally, Bill and Mike Holmgren got him settled down and you saw improvement, improvement, improvement. Steve continued to improve, and then the next thing you know, he was running the offense the same way Joe Montana was running it. He showed so much consistency. Mike Holmgren: Knowing Steve from college, I saw him grow and learn and get better and discipline himself. He is as bright a quarterback who has ever played the game. He played a long time. You talk about Russell Wilson and the guys who can run today. Well, Steve could run as good as anybody. He became great when he realized he did not need his legs to bail him out all the time. Mike Shanahan: You'd better remember what you told him two months ago because he is going to remember -- he is going to have it written down. He was just extremely bright, and he could do it all on the field. Then you look at his stats and they are overwhelming. The three years I was with him, you could not ask for any more. Steve could do it all. Tony Dungy: Montana at those pivotal times was sensational, but you look at Steve Young, he was accurate, he had touch, he put up the same kind of numbers with Jerry Rice that Montana did. Had Steve played during the time that Joe played, would he have won as many? I think probably so. The big difference for me is, if you covered everything, if you knocked the receivers off and did all those things that defenses tried to do, Steve could still create and make plays and beat you when you stopped everything else. I just know how tough it was defending him and the extra element that he brought. To me, as a defensive guy, those great passers who could also really run were always more trouble to defend. Ray Rhodes: When I finally got back to San Francisco in '94, Mike Shanahan and Steve had put together an offense that was a machine. I saw a mature, accurate quarterback. Steve guided a team that had come off a big-time embarrassment against the Dallas Cowboys, and that year, we beat the Cowboys twice -- in the regular season and in the playoffs. Steve showed me a lot. The Cowboys had a team. You are talking about Michael Irvin, Troy Aikman, Emmitt Smith. I saw Steve Young keep his composure throughout those games when we played the Cowboys and do what he had to do. Mike Reinfeldt: Steve Young is a tough one for me to evaluate because he didn't become a full-time starter until well into his career. I remember seeing him play in the USFL and then for some bad Tampa teams, and initially there seemed to be few indications his career would take off. He was as athletically talented as any quarterback ever, which was good and bad for him. If he'd gotten with Bill Walsh and Mike Holmgren earlier in his career and then enjoyed a longer run as a starter, he'd be even higher on this list, for sure. Norv Turner: That team [the 49ers] was a well-oiled machine, and he went in there and he had to keep it going. It is different than what Brady did in New England. [The Patriots] were a bad team. Brady went in there and changed them. Peyton changed that Colts team. Joe Montana, same story. Troy Aikman, same story. I put some weight on that. The Brees-era Saints are 58-22 with a Super Bowl title during the five seasons in which they allowed fewer than 22 points per game. They have allowed between 24 and 29 points per game in the six other seasons Brees has been on the roster, and it's a testament to their quarterback that they have finished no worse than 7-9 in any of those seasons. Brees' New Orleans teams have allowed 23.6 points per game, worst among all the QBs receiving votes (Fouts' Chargers were next at 23.3 PPG allowed from 1978 to '87, when teams averaged about 1.5 fewer points per game than they have averaged during Brees' New Orleans tenure). Brees is so closely associated with Sean Payton and New Orleans that it's easy to forget he was a dominant player under head coach Marty Schottenheimer and offensive coordinator Cam Cameron in San Diego. Brees went 20-11 as a starter for the Chargers over the 2004-05 seasons, ranking among the NFL's top five in touchdown passes and passer rating over that span. Tony Dungy: When the whole Eli Manning/Philip Rivers thing was going down, I know Marty Schottenheimer felt like, "Gosh, I've got a guy in Drew Brees who I can win with right now. Why do I want to go down that road of starting over?" He had a lot of confidence in Drew. Mike Shanahan: You take a look at everything he does -- his mechanics, his ability to read defenses, how he is always in position to throw -- and it really elevates him. For him to be able to throw the ball the way he does, at his height, is just so impressive. He has the perfect mechanics. He is never off-balance regardless of the rush around him. When you look at tapes and want to show guys a football position for throwing the ball, he is a guy you go through the cut-ups on. Mike Holmgren: People might not appreciate it as much as they should because of the success Russell Wilson has had, but shorter quarterbacks like Brees are at a disadvantage. Drew has been able to do something at his size that, if you look back historically, quarterbacks can't do. Look at the numbers. He has learned to move, he has learned sight lines and how to play the position at his height. That in itself is pretty good. It's remarkable, actually. Tony Dungy: If Drew goes a couple more years, his numbers are going to be astronomical. He has kind of gotten overshadowed playing at the same time as Brady and Manning. It is a different era now, but I think you look at the numbers and the fact that he has done it with a lot of different receivers and two different systems, I had to include him in my top 10. Howard Mudd: You can play defense with offense if you go out and stay on the field. We did it with Peyton in Indianapolis. Up near the top of that is Drew Brees. He has done a lot with less. He might be the only Hall of Famer that they have through all of his career with New Orleans. I just think it is awfully hard to keep him out of the top five. Fouts trailed only Brady and Manning in a metric measuring wins above expectation, making a strong case that he could be undervalued in the survey. To calculate the metric, ESPN senior analytics specialist Brian Burke ran a statistical regression on all games since 1978 to create a season-specific expectation for winning each game based on how many points the opponent scored. For example, the model gave the Patriots a 35 percent expectation of winning the Super Bowl given that they allowed 28 points to Atlanta. Winning the game created a 65 percentage edge attributed to Brady for the purposes of this exercise. Fouts' San Diego teams won 57 percent of his starts, well above the 41.7 percent expectation based on the Chargers' points allowed in each game. The QB shouldn't get all the credit for the difference, of course, but it could be telling that Brady, Manning, Fouts, Montana, Rodgers, Warner, Elway, Brees, Marino and Young constituted the top 10 since 1978. We start with Al Saunders, who coached the Chargers in various capacities from 1983 to 1988. Al Saunders: Dan redefined the passing game in conjunction with Don Coryell, Ernie Zampese and the Sid Gillman concept. When you talk about a timing, rhythm passer with tremendous accuracy, Dan was the model of that. His combination of toughness, accuracy, timing and rhythm was far beyond those who were playing the position at that time. I don't know that I have been around a more courageous, tougher football player than Dan Fouts. Pete Carroll: Fouts was phenomenally accurate and played the game like a championship guy plays games. He had great awareness and understanding of the game. He threw a lot of difficult stuff and was able to do it in that Ernie Zampese offense. It was the same style of offense that Troy Aikman had in Dallas, but Fouts never had the running game, the defense, the other stuff. And he was so tough. The game ain't at all like it used to be in that regard. Everybody got hit harder, everybody got hit more -- at all the positions, and the quarterback, for sure. They had to be fricking studs then. I'm not saying they are soft now. They just don't get hit as much. Howard Mudd: I have tremendous regard for Dan Fouts and a long history with him going back to when he was a 49ers ball boy and I played for the team. As far as doing this ranking, I see him a little bit like Kurt Warner. Look at the offensive weapons they had. It was a very specific offense with Don Coryell in San Diego, and that is why maybe he isn't as high as some of the others. Norv Turner: You are talking about a guy who played with one of the worst defenses in history and just had to carry it always. Ray Rhodes: He could score 50, but his defense would give up 50, too. We shouldn't hold that against him. I felt bad for that cannon operator because whoever was shooting that cannon off, their arm was tired. If they had a defense back then, it's no telling how many Super Bowls Fouts would have won. Fouts did have a very strong supporting cast. Coryell's system was really good. He really gave Fouts new life. Mike Reinfeldt: I have a special spot for Fouts. He was so fearless. He stayed in the pocket and competed like few others. He was also a true spinner of the football. Fouts and Marino made throwing the football look like the easiest thing in the world. The lack of postseason success hurts his standing, but I don't think Fouts was the issue. Mike Holmgren: Athletically, Rodgers and Young are very special. Fouts? Look, you have to be an athlete to play quarterback, but he wasn't like that. He was in the pocket the whole time and was just a remarkable passer with great, great toughness. Now, he had great receivers, and like all of these quarterbacks, it helps to get in the right system. But I had to put him in my top 10 for the way he threw the ball in that offense. Tied for 11th seems like a good spot for Roethlisberger. Another couple of strong seasons from him could vault him into the top 10, while an underwhelming finish to his career could keep him on the outside looking in. Mike Shanahan: I have always admired his ability to stand in the pocket and make big-time throws with guys hanging on his body. He's just one of the few guys I have seen with the leg strength and arm strength to do it. Then you take a look at a couple of Super Bowl wins. Granted, the first one wasn't great statistically, but the two-minute drive to beat Arizona was about as good as it gets. Howard Mudd: Some of the guys on this list are there because they have worked so tirelessly to overcome things. That is one of the reasons Peyton was so great. I'm not sure Ben Roethlisberger does that in the same way, but I'll tell you, when you put him in the game, don't bet against him. So many times he has brought the team back. Like in that Super Bowl against Arizona, are you kidding me? Warner's career is unique in NFL history. Five of the 10 voters ranked him between seventh and 10th on their ballots. The others did not find room for him among the top 10. Mike Shanahan: It's the strangest career you have ever seen. You just go, "Wow, how did that guy not get picked up earlier? Why couldn't people see that ability to anticipate a throw before a guy was open? And the ability to play under pressure, making some of the big-time plays that most quarterbacks have no chance of making, and do it consistently?" The way he came up and the way he threw the ball with anticipation was impressive in a new era for the passing game. Al Saunders: I think of Kurt Warner playing in St. Louis when we had the Greatest Show on Turf. Certainly, he was surrounded by a great cast, but he was the one that really made that thing go. His anticipation and timing and rhythm was just so remarkably good. He got traded to New York and that system of offense -- play-action and run the football -- that is not Kurt Warner. And then he went to Arizona and got involved in an offense that revolved around him and his passing efficiency and getting the ball out of his hands quickly and being able to throw sights and hots and doing those kinds of things, and he, again, set the league on fire and took them to the Super Bowl. Tony Dungy: My biggest challenge was at the bottom [of the ballot] trying to decide between Warner, Fouts, Aikman and Roethlisberger. I went with Warner [at No. 10]. He had some great receivers and talent around him, but doing it in two different systems swung it for me. Fouts had a system that was ahead of its time and had world-class receivers. Aikman had a tremendous run game and defense, so he didn't have to do as much. Same with Ben. All three were great talents and would have been dominant in any system, but to me they didn't have to do quite as much as Warner. The consensus on Aikman was that he was an exceptionally gifted quarterback on a team that didn't need him to do as much as the higher-ranked quarterbacks had to do. His exceptional postseason production played a leading role in the Cowboys' three Super Bowl victories in four seasons, suggesting he could have done more if needed. Norv Turner was Aikman's offensive coordinator and is best-positioned to explain why the Hall of Famer could be underappreciated. Norv Turner: Put all these guys in a draft and Aikman is a top-five pick. Because of his numbers and the style of offense he played, people don't give Troy's talent enough credit. I remember when we were playing well, [John] Madden and [Pat] Summerall talking about Troy being the most accurate passer they had ever seen. We were throwing those deep comebacks and deep dig routes to Michael Irvin and skinny posts, and people would be in awe of how he threw the ball. People have forgotten that because of the numbers with Jimmy [Johnson] and the way I coached and what we did. We were not a team that was going to give him 10 completions within 5 yards of the line of scrimmage. 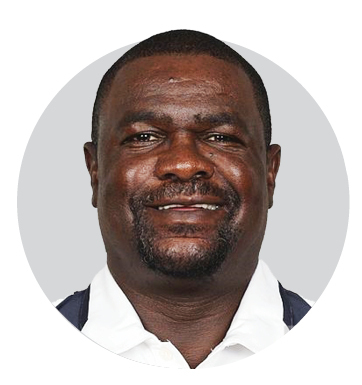 Michael Irvin was averaging over 16 and 17 yards a catch. To me, that is where you see the talent. Al Saunders: When you win three Super Bowls, how can you not be in the top 10? But then, with all of the other things that the other guys did and have done, it just ended up being that way. The deck was stacked against Moon when he was forced to spend the first six years of his pro quarterback career in the CFL. The run 'n' shoot offense he ran in Houston provided chances for production in the passing game, but it wasn't the way teams were winning championships at that time. Moon still earned a spot in the Hall of Fame and respect from voters, whether or not they found a spot for him among the top 10. Norv Turner: I always said that Oilers team could have won multiple Super Bowls if they had a move conventional offense. You can't win a Super Bowl running what they were running. It is going to catch up to you. They were a very good defensive team, and Warren was awfully, awfully good. I just think the offense they ran made it real hard to play quarterback. Ray Rhodes: I just look at the wasted years they took away from Moon, and then when he finally got to the NFL and got a chance to show what he was about, Warren was an outstanding quarterback. It was different times, and I felt so bad for the time he spent in Canada. He played in every system you can name and still excelled. Everyone he played with, he made them better. Great leader. I would stack him up with any of the quarterbacks on this list. He got hit so much, maybe more than anyone on this list. But he was put together -- he was built like a running back, similar to Dak Prescott -- and had a great arm. Kelly played fewer seasons (11) than every other quarterback receiving votes for the top 10. What if his Bills had won one of the four consecutive Super Bowls they reached? Howard Mudd: I don't know if he willed himself to beat cancer, but they just know that when he walks in a room or some setting with all those great players that they had there in Buffalo, there is no doubt about who the leader was. I don't know about his stats. Don't give a s--- about his stats because they played in that crappy weather up there. They still won after the general manager [Bill Polian] left -- they went to the Super Bowl four years in a row. I mean, yes, the head coach [Marv Levy] became a Hall of Famer, and, yeah, he kept it together, but Jim Kelly was the lead dog. Norv Turner: Kelly could be as high as fourth or fifth. They played in a tough division at the time. They were head-to-head with Miami and Marino all the time. They found a way to get to the Super Bowl four straight times. They just never won one. They were a little bit along the lines of Houston. It is hard to win with that offense. They had exceptional talent on defense in Buffalo, but some of the better teams had success against them. Al Saunders: How hard is it to take a team to four Super Bowls? That is unbelievable. Manning leads the NFL in fourth-quarter comebacks and game-winning drives since entering the league. He also has played his best during runs to a pair of Super Bowl titles. That wasn't enough to overcome some highly inconsistent regular-season play for a spot in the top 10, but Giants fans might take heart in what one of the survey participants had to say. Ray Rhodes: Eli has won two Super Bowls, and he had a different cast of players around him. You look at Eli's numbers the last 2-3 seasons, he has been over 4,000 yards passing. He did not really have a top-flight receiver until recently [with Odell Beckham Jr.]. I liked the salsa dancer [Victor Cruz], but I didn't see the receiver everybody feared. Now, with the addition of Brandon Marshall to that group, this is going to make them a team to reckon with. I'm talking about the Super Bowl. There is no excuse for Eli this year. I think they are going to give the Cowboys all they want.